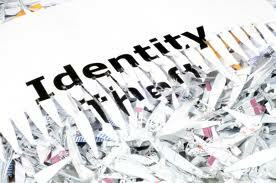 According to Javelin Strategy & Research, the rate of Identity Fraud increased by 13 percent in 2011. Over 11.6 million adults were victimized in the United States. On a positive note, the dollar amount stolen remained constant. James Van Dyke, president and founder of Javelin Strategy & Research, attributes this to consumers, the financial services industry, law enforcement and government agencies stopping fraud earlier and making new account fraud more difficult to perpetrate. The report also found that irresponsible social media and mobile behavior can put consumers at a greater risk for identity fraud. Victims of data breaches are 9.5 times more likely to victims of identity fraud, so it is imperative that you take any notifications of a potential data breach seriously. Another interesting finding is that people who regularly check-in with geo-location services are more than twice as likely to become a victim of identity fraud. View their report for Eight Safety Tips, additional report findings and other helpful links to help you and your loved ones stay safe from identity fraud.